Beautiful 3/4ct Emerald cut center (GGL Certified) along with two perfectly matched Emerald cuts on each side accented with Princess cut diamonds on the shank totaling to 2.00 carats! Diamonds are H-I color and SI clarity. 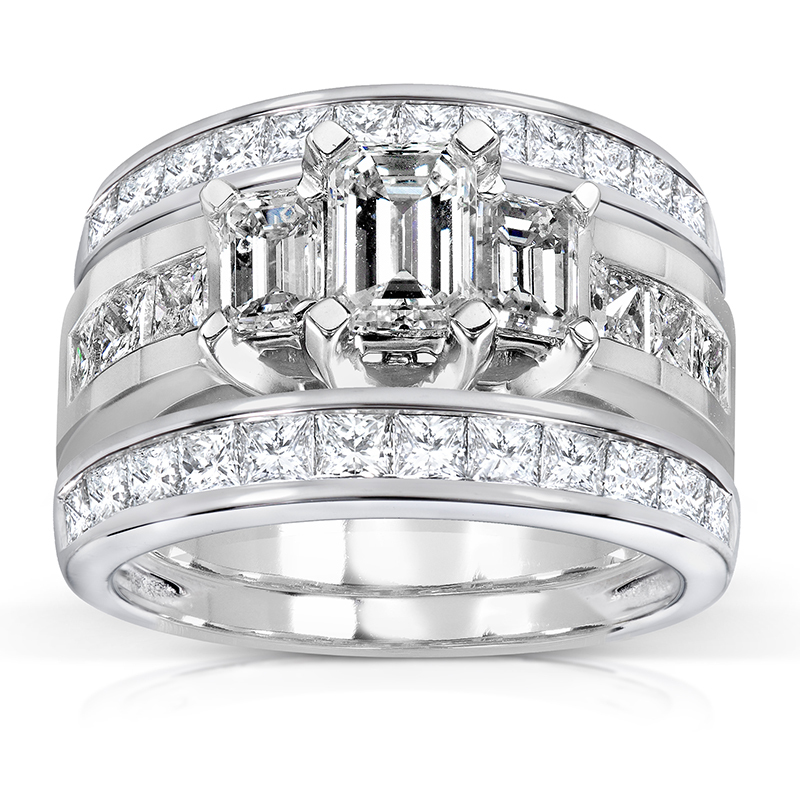 Along with this spectacular Engagement Ring, 2 Matching Princess cut Diamond bands of 1 carat Total Weight.